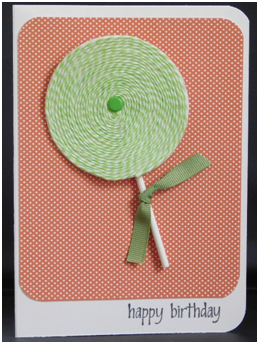 Send some sweet birthday wishes with this adorable lollipop card. This makes a great child’s birthday card and is easily to create with some fun supplies. 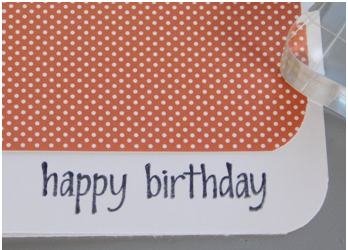 Add a number sticker for a very special birthday and have a card to remember the day. 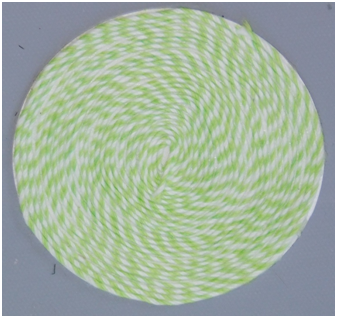 Begin creating the lollipop by cutting a circle with a circle cutter and glass mat. 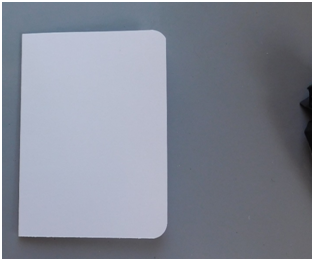 The one on this card is a 3” circle. 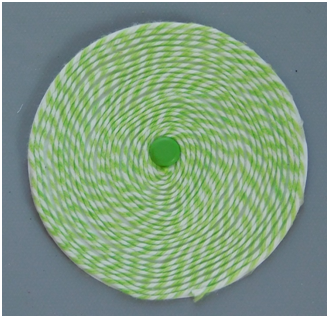 You can, also, use a circle punch if you want to create smaller circles for more than one lollipop. 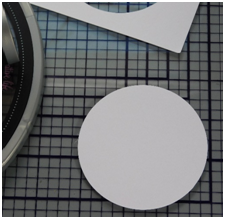 Add adhesive to one side of the circle using a tape runner or Xyron machine. 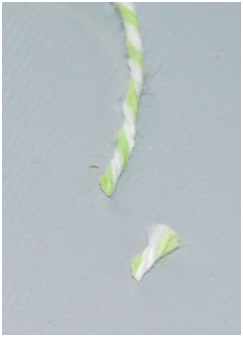 Trim the end of a piece of twine with a pair of scissors to remove any fraying. You want a clean end because it will show on the outside edge of the lollipop where you begin wrapping. 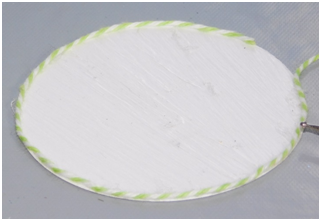 Start wrapping at the outside edge of the circle. An embossing stylus can help to get the twine into place. At this point, it will be a little difficult to push the twine down so that it sticks so use the stylus to help you do this. 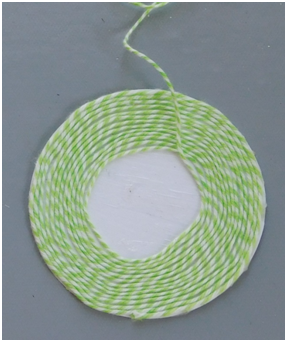 Continue to wrap using a long, running strand of twine. Do not cut it from the spool. Make sure to keep the pieces against each other to fill in the gaps. Now, as you add more twine it will be easier to use your fingers to push it down into the adhesive to secure it in place. 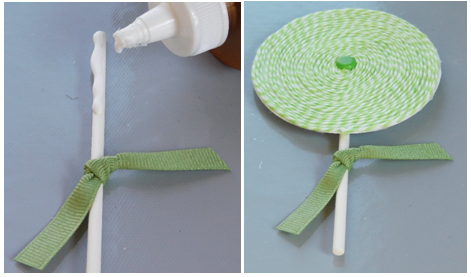 When you reach the center, cut the twine from the spool leaving a small piece that will allow you to tuck it in to cover the center and finish off the lollipop. Add a matching brad to the center of it. A shaped brad or cloth covered brad that has a little picture on it is adorable on the center of the lollipop, too. 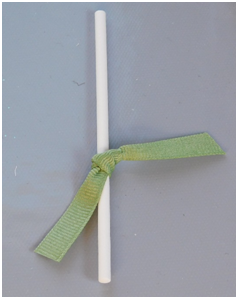 Tie a piece of matching ribbon around a lollipop stick. 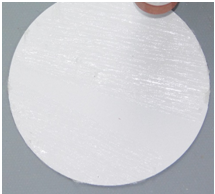 Add some glue to the front of the stick and add the circle. Allow the pieces to dry completely. 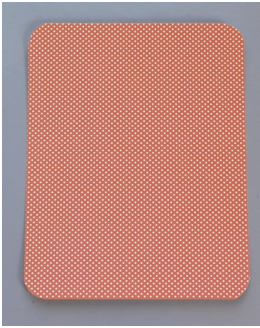 While the lollipop is drying, work on creating the 5” x 7” card base from cardstock. Round 2 of the corners on the base using a corner rounder. 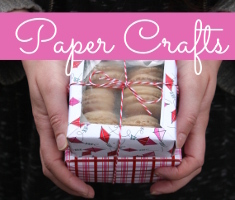 Attach a 4 ¾” x 6” piece of patterned paper to the base with the tape runner after rounding the corner. This paper is from the Snap Color Vibe collection by Simple Stories. Stamp the sentiment onto the card just below the patterned paper. 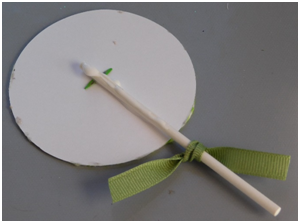 Add some glue to the back of the lollipop stick and attach it to the front of the card. 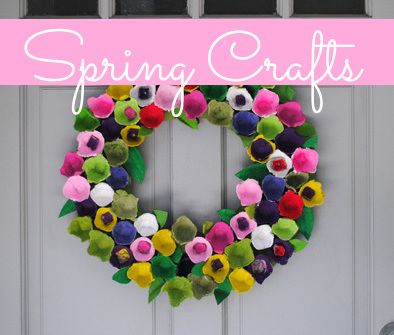 Create smaller circles and add more lollipops to the bunch. 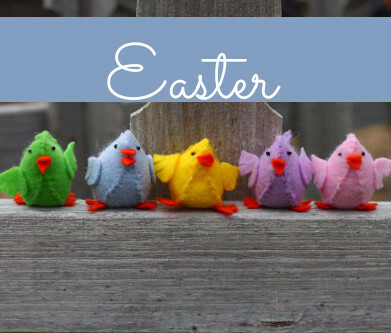 Turn several of them into a lollipop bouquet for another fun look. Add some balloon embellishments for yet another look and let the party begin! 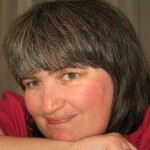 This entry was posted in Birthdays, Cardmaking, Crafts, Holidays & Seasons, Paper Crafts and tagged Baker's Twine, Brads, Ribbon on February 28, 2016 by Peg.